If you were too busy over the summer to pour a new concrete driveway and are worried about colder weather affecting your work, there’s good news! Pouring concrete in Ottawa during the cooler fall season is actually one of the best times to pour concrete. Ottawa’s fall weather doesn’t usually have the extreme heat of the summer months, or the extreme cold of winter, both of which can seriously disrupt the strength and quality of freshly-poured concrete. And even if the temperature does dip later in the season, you can still pour concrete with the right concrete ready mix and equipment to keep your concrete at a safe curing temperature. Let’s take a closer look at the role outdoor temperatures play in pouring, curing, setting, and drying concrete, and how late in the season you’re able to pour and get the results you’re looking for. The ideal temperature for pouring concrete is between 10˚C (50˚F) and 32˚C (90˚F). Cooler temperatures in this range will slow down the curing process, ensuring concrete reaches its desired strength. When concrete dries too quickly, it doesn’t have time to develop the structural bonds and strength, making it weaker and prone to cracks. Note that other weather conditions along with outdoor air temperature will affect how slowly or quickly concrete cures and dries. If it is hot, sunny, and windy outside, concrete will dry much quicker than if it is cool and overcast with low winds. Below 5˚C is considered too cold for concrete to cure properly. But with proper planning, you can pour concrete in these colder temperatures. Waiting until bleed water is no longer present to begin the final finishing of the concrete surface. How Long Does It Take to Cure a Concrete Driveway? The concrete curing process takes time. When curing concrete properly in the right conditions, it takes about 28 days for concrete to gain 99% of its strength. Concrete is vulnerable during the first two days, and especially during the first 24 hours after pouring. At this time, it hasn’t developed enough strength or hardness to withstand any weight. Even lightweight objects can leave permanent indents and impressions in the concrete during this stage. That’s why it’s important to keep people, pets, and vehicles off the concrete for this time. Consider hanging up warning tape to keep everyone off your concrete driveway until it is safe to use. You should be able to walk on your new concrete driveway after two days have passed. But while the concrete is hard and tough enough to withstand footprints and scars from walking on it, do avoid twisting or skidding your shoes on the concrete in its early stages. Don’t allow bicycles, skateboards, roller blades, and other toys on the concrete. Your concrete is also not strong enough to withstand the weight of vehicles yet. Your concrete should be strong enough to drive on with regular passenger vehicles after a week of curing. But do avoid driving near the edges of the driveway as these areas are weaker and more vulnerable to cracking. Even though concrete is safe to drive on at this time, it can still be damaged and scarred by skidding and dragging sharp objects. Since concrete gains 99% of its strength after 28 days, your driveway will be hard and strong enough to use it regularly. This is also a good time to apply concrete sealant to your driveway. Note that most residential driveways have strong enough concrete to withstand the weight of regular passenger vehicles, not heavy trucks or moving vans. Keep heavier loads off your driveway to ensure it stays in good condition for longer. No, too much heat will cause the water in freshly-poured concrete to evaporate too quickly. As a result, the concrete will dry too quickly, and be prone to shrinkage, cracking, and developing a weak chalk-like surface. When the outdoor air temperatures are too high, you will need to take precautions to keep your concrete slab wet at all times so it doesn’t dry out too quickly. You can do this by placing a burlap curing blanket on your concrete slab and keeping it wet with a hose or a sprinkler. You may also need to shade your concrete from the wind and sun to further avoid drying out the concrete too quickly. Air temperatures that are too cold will slow down and even stop the concrete curing process, so concrete won’t develop the required strength for safe use and removal of concrete forms. Below-freezing temperatures will cause the water in concrete to freeze, expand, and crack the concrete. If the average daily air temperature is less than 5˚C (40˚F), and the air temperature doesn’t get higher than 10˚C (50˚F) for more than one-half of a 24-hour period, you will need to take extra precautions to ensure your concrete cures properly. Due to the milder temperatures of the fall season, fall might be the perfect time to pour concrete in Ottawa. The weather is more stable with less heat. And there are still plenty of days left before the cold frost of winter hits. So if you didn’t get around to your home concrete project this summer, whether it was foundation repair or learning how to pour a concrete pad, don’t worry. 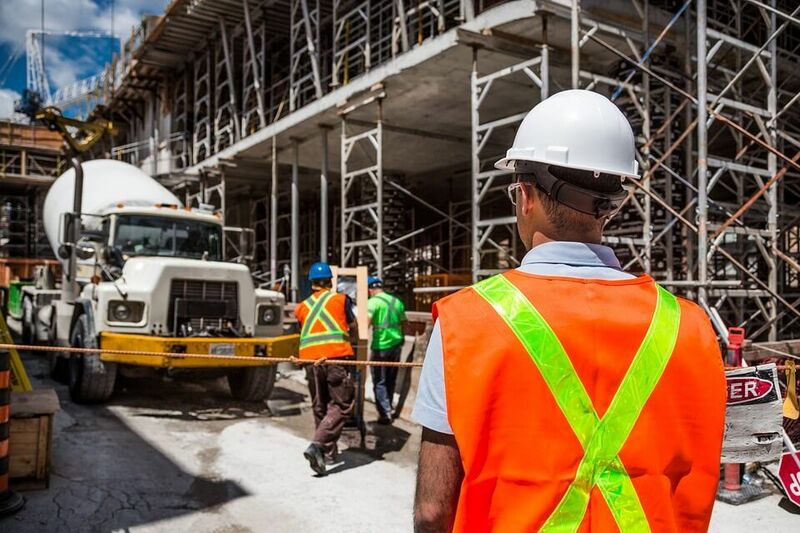 You can pour ready mix concrete in Ottawa without fear of the outdoor temperatures drastically slowing down or speeding up the curing process.